Hola, Amigos! 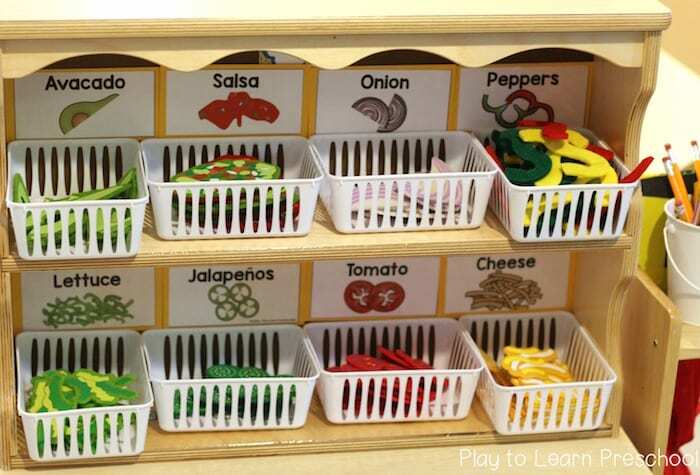 We have something very delicious and fun ready for you in the dramatic play area. 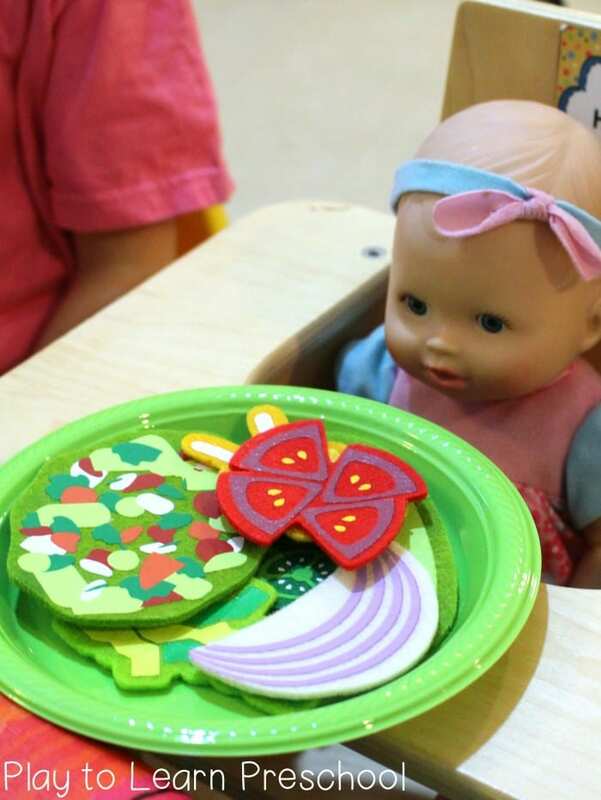 You might remember how much the preschoolers love the Pizza Parlor and the Pancake Cafe? 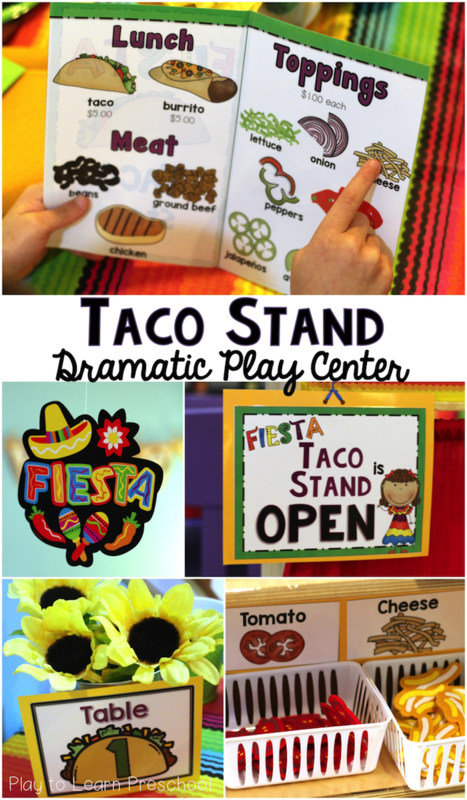 Well, now it’s time to take a trip south of the border to visit our “Fiesta” Taco Stand Dramatic Play! Bienvenidos!! 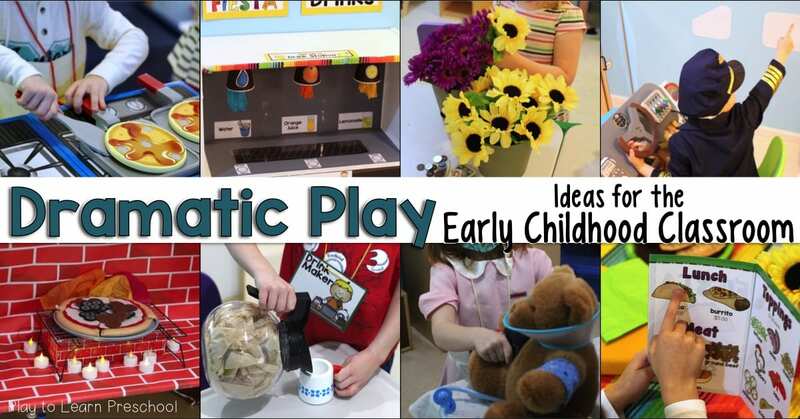 🙂 Welcome to our Dramatic Play center! Are you a customer or are you here to work? Maybe you would like to be the Host, the Chef, or the Manager? 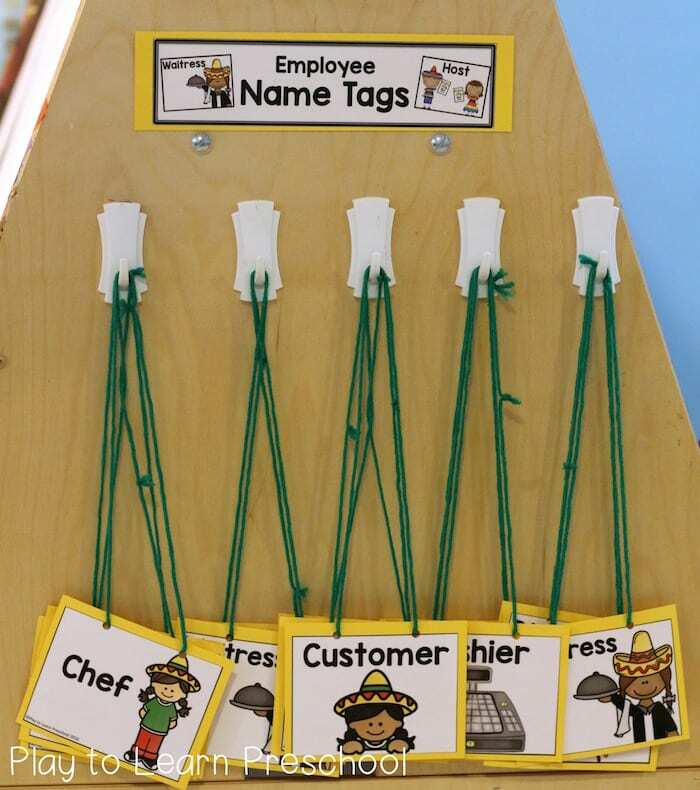 Pick up your name tag before entering. The Taco Stand is now OPEN. Would you like to eat in or carry out? Our hostess will show you to your table and let you look at a special picture menu! Our Taco Stand offers 2 main types of food: tacos and burritos. Which would you like? 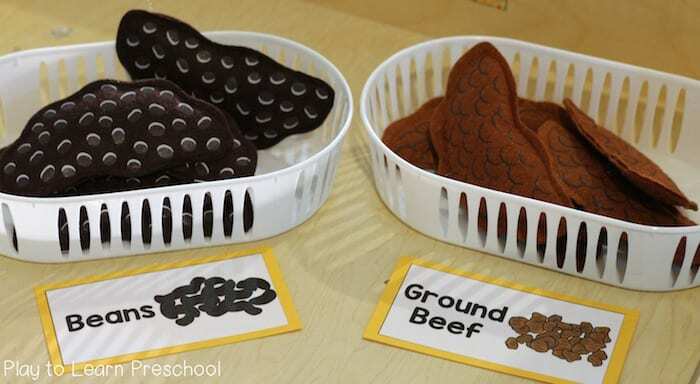 Do you prefer beans, ground beef or chicken for your meat? We also offer a variety of toppings: lettuce, onions, cheese, and more! 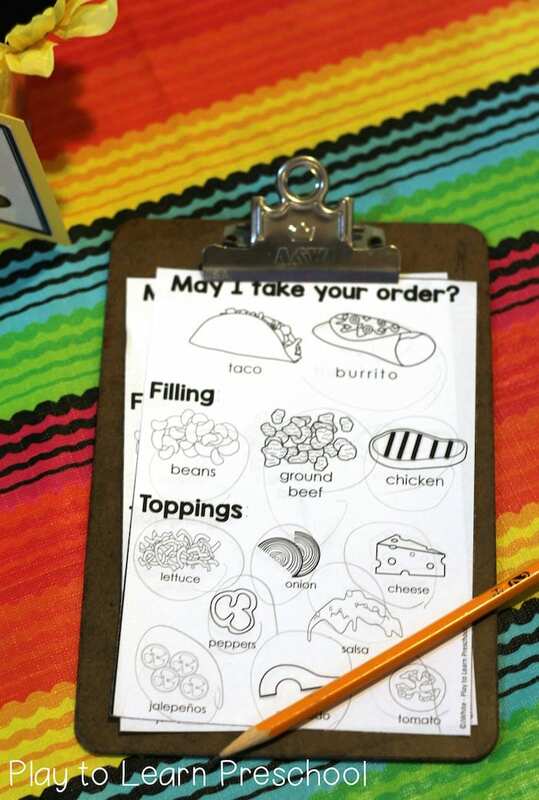 Our waiters and waitresses will record your order on these picture forms that match the menus. 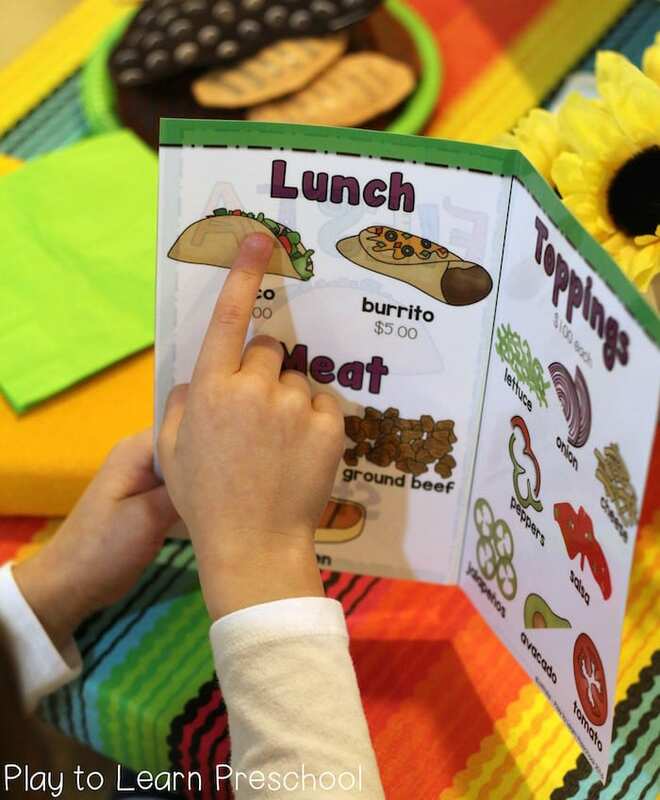 All of our taco “ingredients” are made from the highest quality Melissa & Doug ingredients! 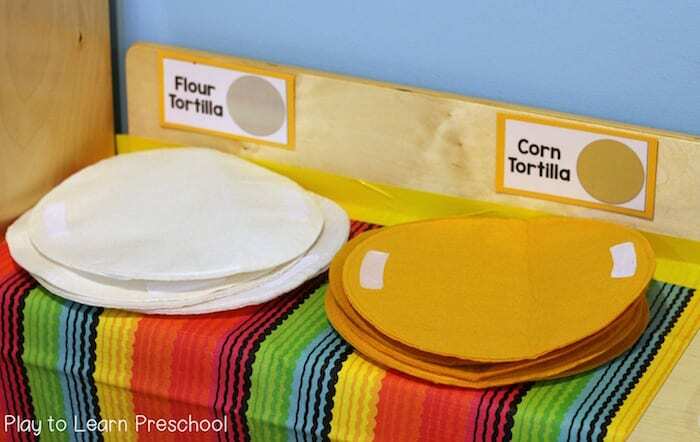 These felt tortillas have a handy velcro tab so that the chefs can assemble them easily. The flour tortillas can even be rolled to make a burrito. 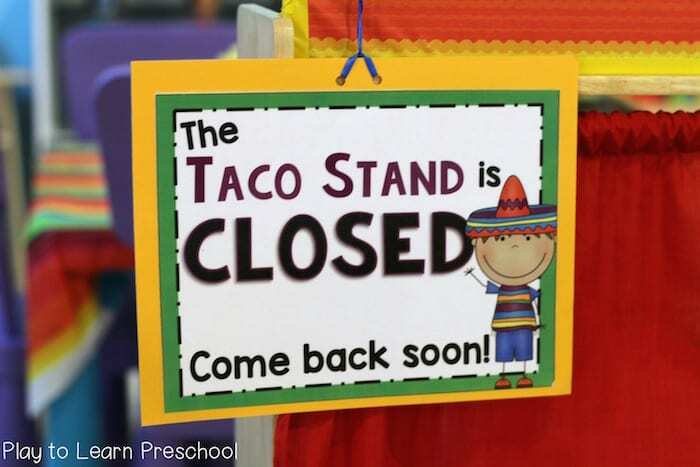 At the end of a busy preschool day, it is time for the Taco Stand to close. 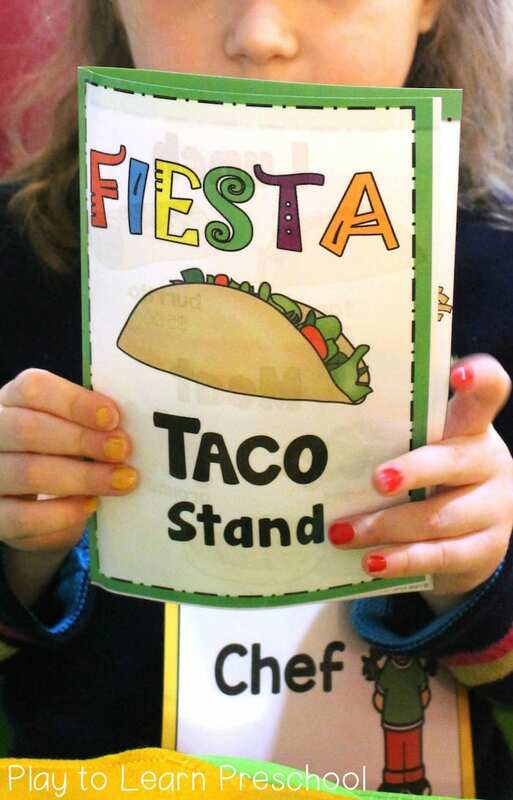 All of the name tags, menus, order forms, labels, and signs for the Taco Stand are available for you to print and use HERE. I hope that you enjoy them as much as we do! Where did you get the felt food from? So cute! 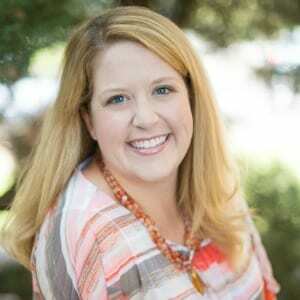 Hi Jamie – I just love this taco stand. I used your doctor unit in February and it was a big hit and I have done some of your other dramatic play. One thing that I have really wanted to ask you is when lesson planning do you align your dramatic play with your theme. 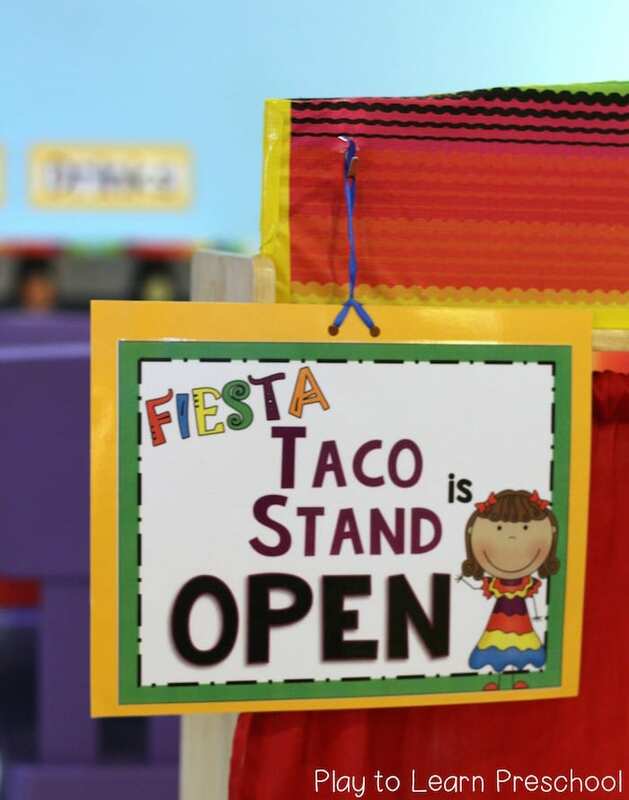 I really want to taco stand but its weird to make it my whole theme or even with pizza parlor. If your theme was spring: oviparous animals/Easter, which you go ahead do a dramatic play nursery/babies. I am trying really hard to be creative in my dramatic play area. I hope that I am making sense. Any help would be greatly appreciated. Thanks for your kind words. Yes, I understand exactly what you are saying. 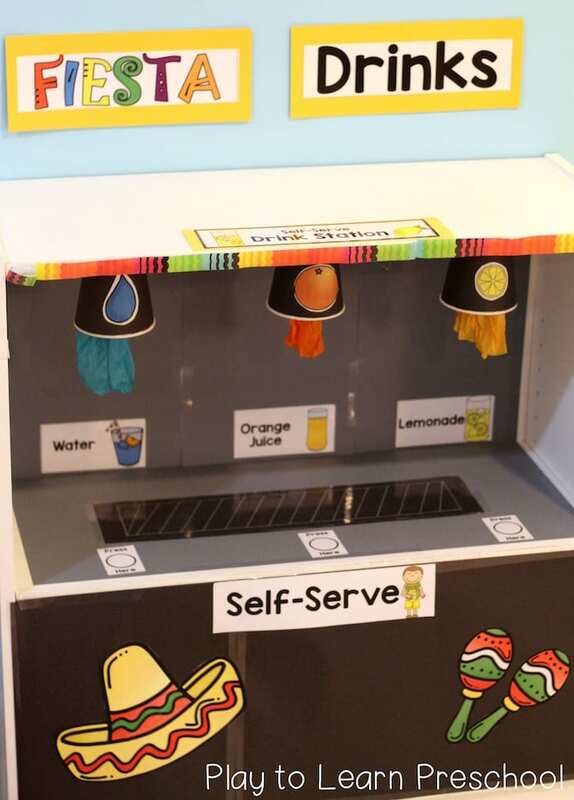 I *try* to align my dramatic play centers with our monthly theme (doctor during community helpers unit, grocery store during nutrition, etc.) but it is not always possible. 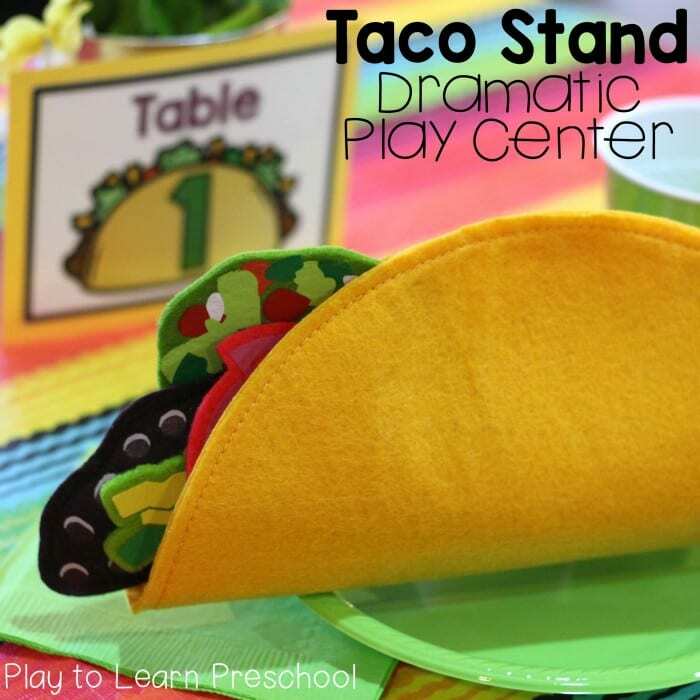 Some of our themes don’t lend themselves to a specific dramatic play center. For example, this month we learned about rainbows, but our DP was the baby nursery. Sometimes the DP goes with our theme, and sometimes it doesn’t! When it doesn’t match up well, I usually wait until the 2nd half of the unit to set up DP. The first half of the month/unit, the kitchen is just a home living center. Feel free to email me if you’d like to chat about it further!